today I have for card full of hearts. 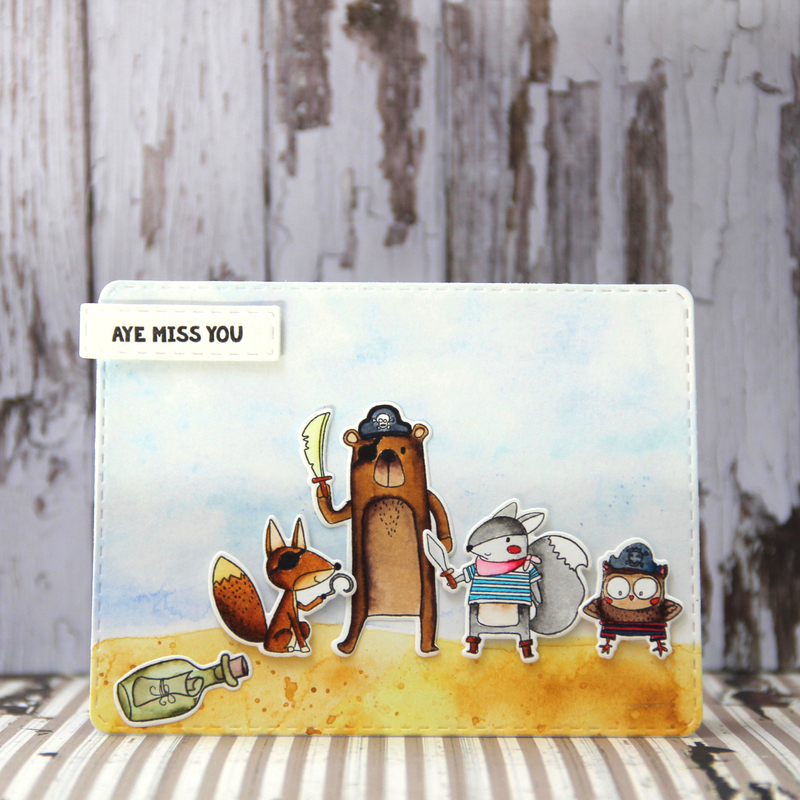 It is very simple card where you can use any of your watercolour medium. For background I used white card stock and embossing folder with hearts. Than I die cut 2 different sizes of Double Stitched Heart Dies from watercolour paper. Do not use any thin paper or card stock, really when you are using watercolours or watercolour pencils or markers – always use good quality watercolour paper. So I painted my hearts with Winsor Newton watercolours (my favourine ones). 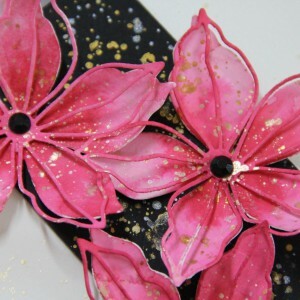 Firstly I wanted to make just red pink combination but than I decided why not to use more colours for my hearts. I glued prepared hearts on card and I added 2 lovely sentiment stickers. I used 2 sentiments because card has got quite heavy background. This entry was posted in Pink and Main and tagged cardmaking, Pink and Main, watercolours. 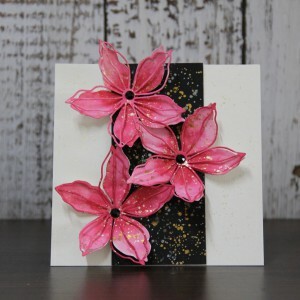 I would like to share with you card with big awesome poinsettias. 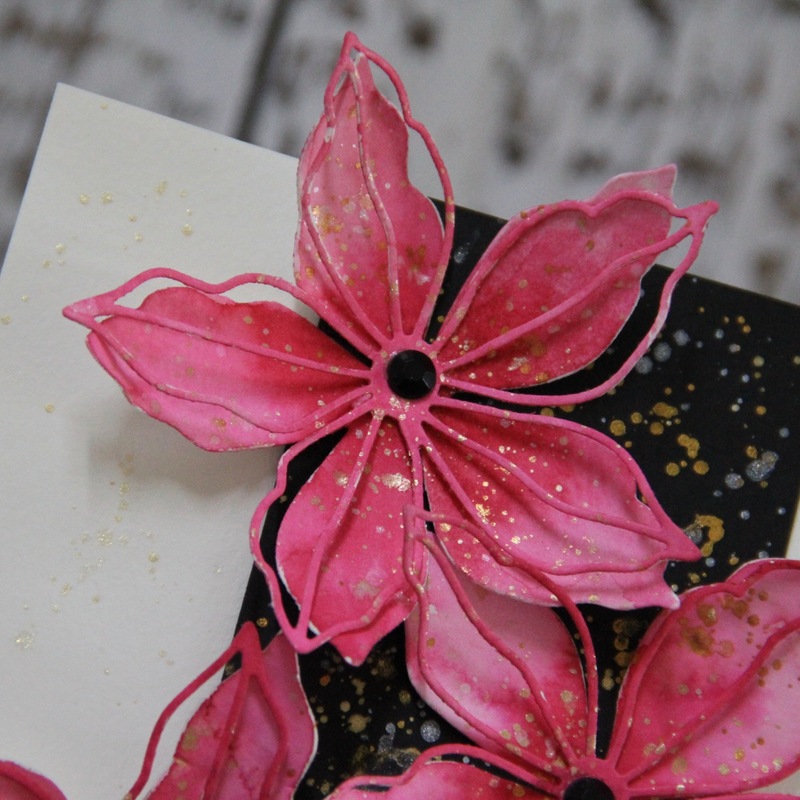 I used new Frantic Die – 10341 Festive poinsettia. I made die cuts from watercolour paper which I coloured with Kuretake Gansai Tambi watercolours and I made splatters with Kuretake Gansai Starry watercolours. You do not need any patterned paper to make awesome card. Try it! This entry was posted in Frantic Stamper and tagged cardmaking, frantic stamper, watercolours. 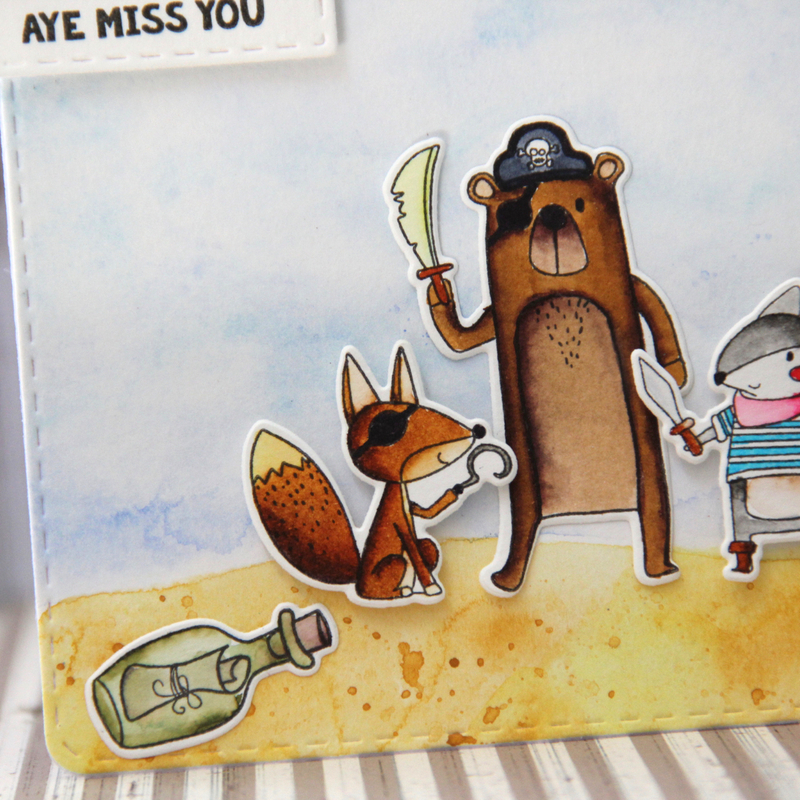 I would like to share with you card which I made with the newest stamp set – Pirate Critters and Pirate Critters dies. I used Stitched Rounded Rectangles Dies. My card has got really simple design. 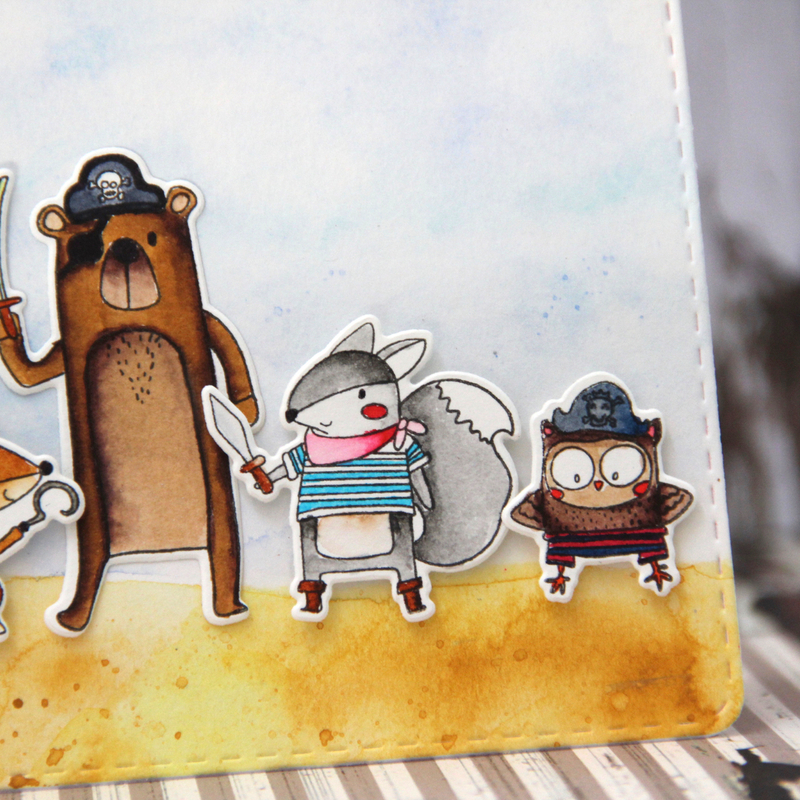 Background is made with watercolour paper – I used Gansai Tambi (by Kuretake) watercolours – to colour sand and sky. 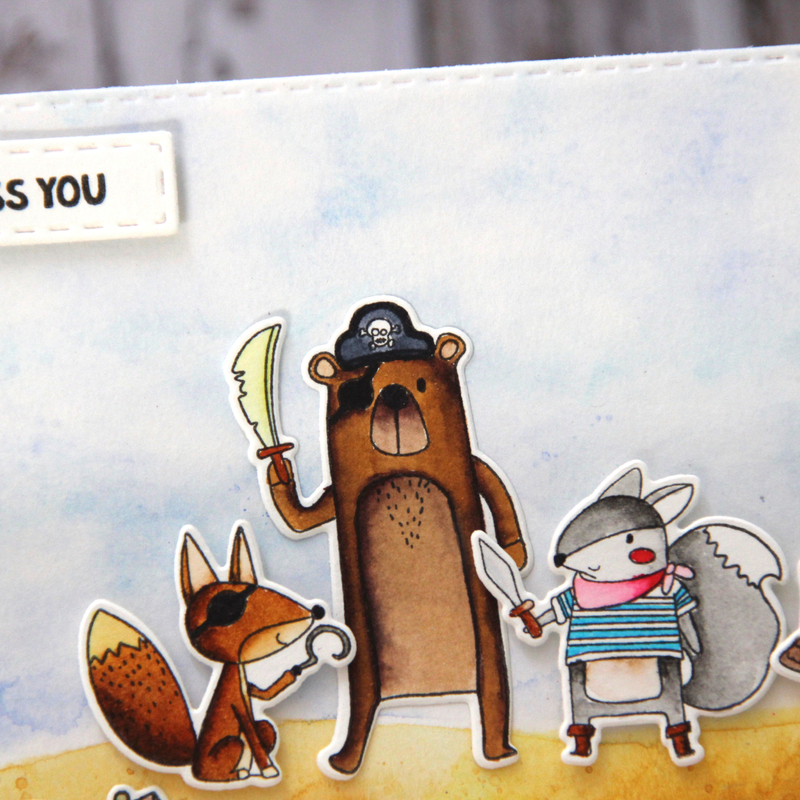 Images are stamped with Versa Fine onyx black ink and coloured with Kuretake Clean Color Real Brush Markers. 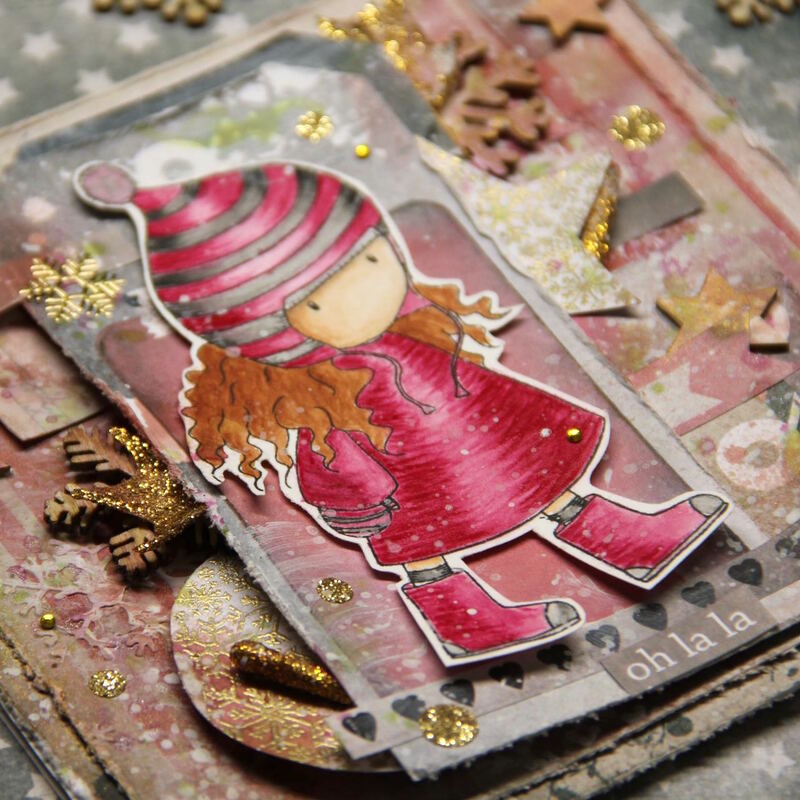 I love simple cards because simple background can highlight amazing Pink and Main images. 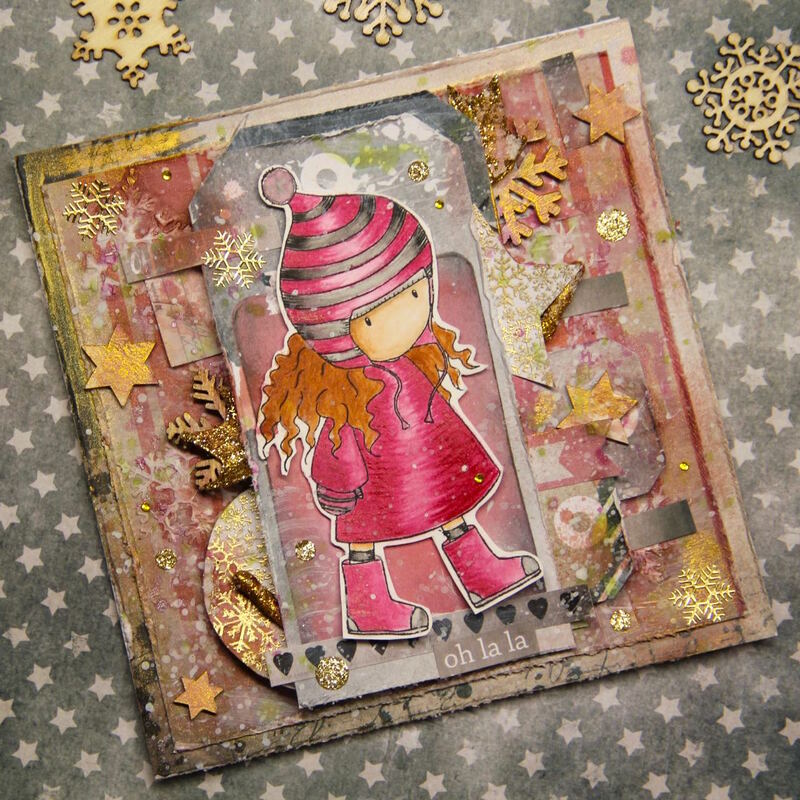 today I have for you another mixed media card with Gorjuss. For background I used papers from 7 dots studio, collection Homegrown. Gorjuss is stamped with Versa Mark onyx black ink, coloured with Kuretake Gansai Tambi watercolours, I love their bright colours. All sprays on background are Tattered Angel – Glimmer Mists. Mixed media are from Finnabair – Heavy gesso, Matte gel. For decoration I used some wooden snowflakes and chipboard stars. 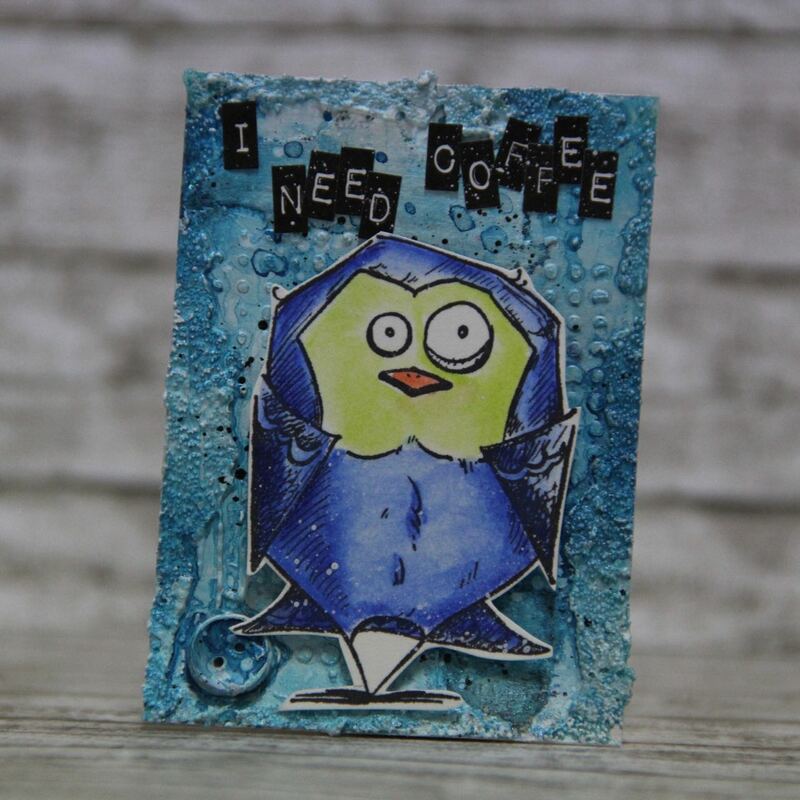 This entry was posted in Canvas Corp Brands and tagged 7 dots studio, cardmaking, Finnabair, kuretake, mixed media, Tattered Angel, watercolours. 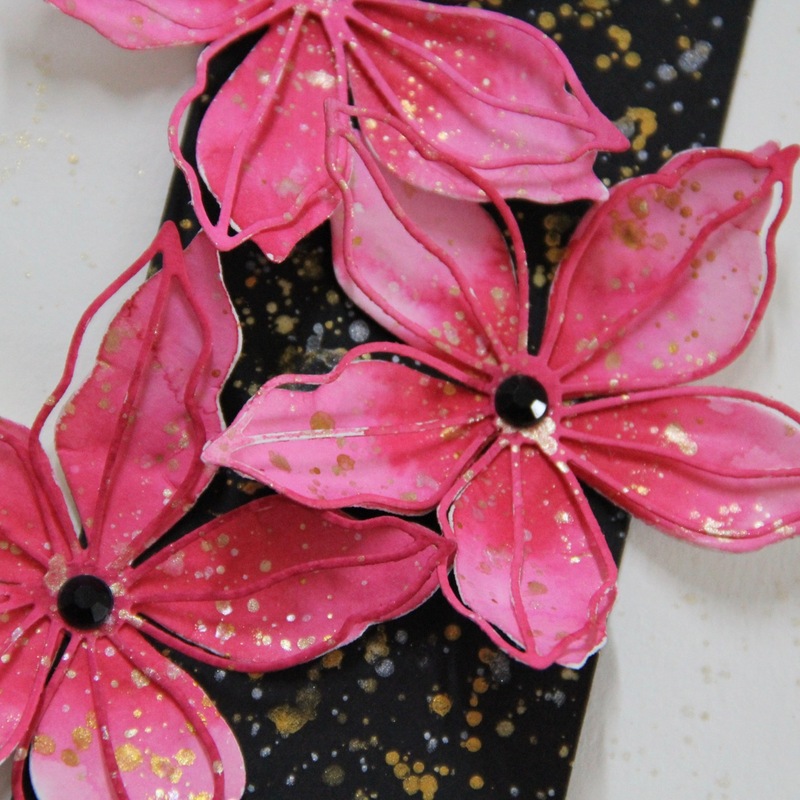 today I would like to show you my first ATCs. They are with amazing crazy birds from Tim Holtz. 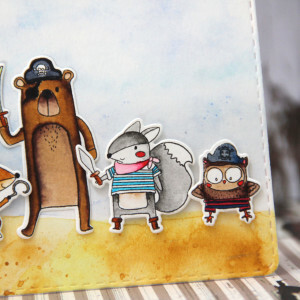 I stamped images with Archival ink and coloured with watercolour pencils and cut out just with scissors. For background of my ATC I used paper from 7 dots studio, I made interesting structure with 2 stencils and great Glass bead gel from Golden. I glued piece of old paper and old button for luck. Everything was than painted with gesso and I used different sprays from Lindy’s stamp gang and Tattered angel. For final touch I made drops with my favourite product from 13 arts – splash. Bird is glued with 3D foam tape and sentiment is made by me with Tim Holtz idea-ology label letters. All ATCs will fly to world soon (to my friends). 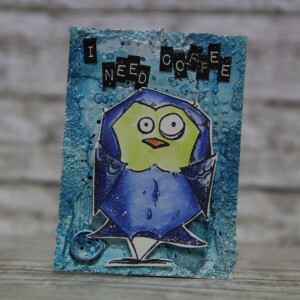 This entry was posted in Mixed media and tagged ATC, crazy birds, Finnabair, Lindys Stamp Gang, mixed media, Tim Holtz, watercolours.